We all do a lot of one pot meals like soups and stews in winter because they are easy to make and satisfying in cold weather, but I also like a salad once a while in the winter. 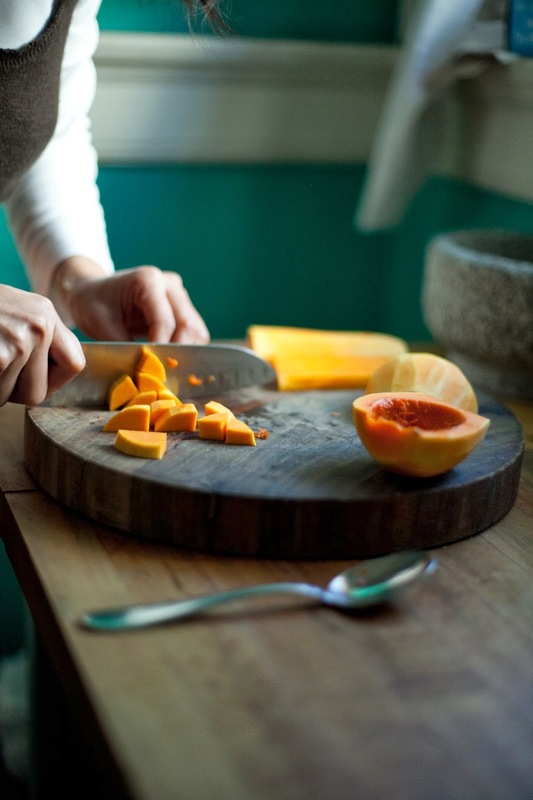 I crave a little freshness after all the richness from the soups and stews! In my opinion, a winter salad needs to be rich, hearty, satisfying, yet still possess the characteristics of salad. So, the first 3 ingredients I immediately thought of were- pancetta, butternut squash, and arugula. Pancetta is slightly different than bacon. It doesn’t have the smokiness that bacon has, but it still is savory, rich and sweet. 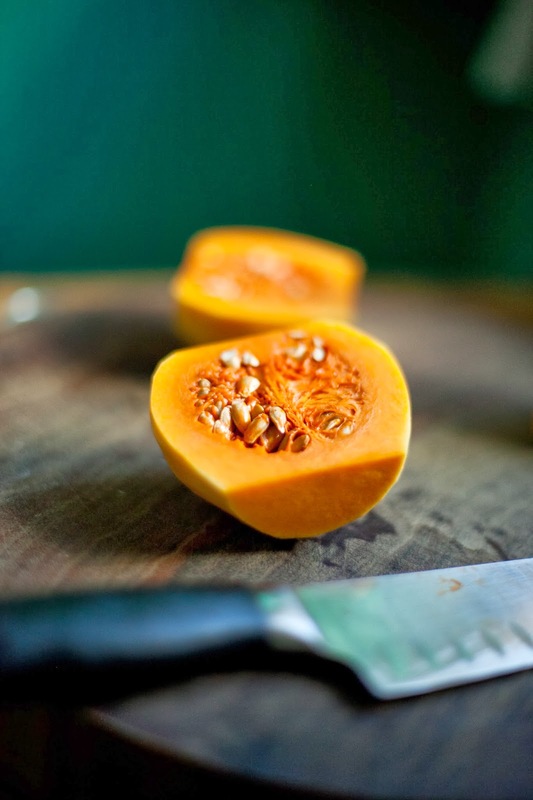 Butternut squash gets creamy and sweet after it is roasted. 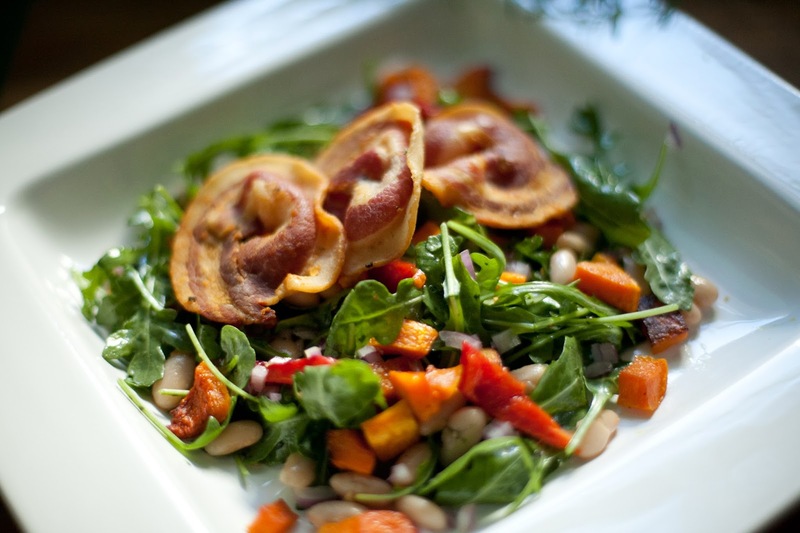 Arugula is fresh, peppery and it definitely helps balance the rich elements from pancetta and roasted butternut squash. In a large serving platter, place the arugula on the bottom, drizzle a splash of extra virgin olive oil, balsamic vinegar; season with salt and pepper. Gently mix the greens. 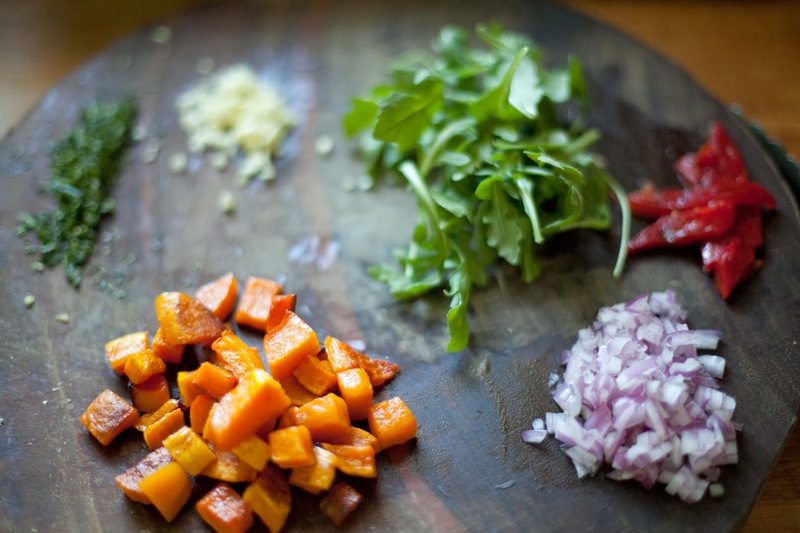 This step is to dress or season the arugula. And that is all the dressing you will need for this particular salad. On top of the dressed arugula, scatter the roasted butternut squash cubes, and the red bell pepper strips, then the cannellini beans. Lastly, garnish with the whole cooked pancetta pieces. You can totally crumble the pancetta and sprinkle on top of the salad if desired. Preheat oven to 400F. 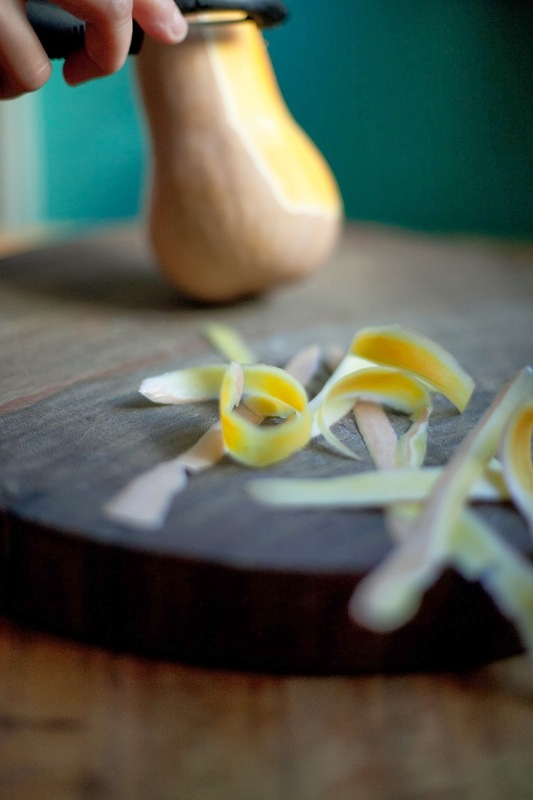 Halve the squash lengthwise. Using a spoon, scoop out and discard seeds. Cut into 1-inch cubes. Transfer to a large rimmed baking sheet. Toss with oil, salt and pepper and spread out in a single layer. Roast, tossing occasionally, until just tender and golden brown, about 30-35 minutes. If I liked salad I would say that this looks delicious (sadly my taste buds don't agree with my eyes). Oh, and the bacon rounds looked like ears at first (I think I'm watching too much Bones). I hope you're feeling better, or will feel better soon!